There is currently no cure for macular degeneration. Macular degeneration treatment options exist that can slow the progress of the disease or improve vision based on the type of macular degeneration you are experiencing. 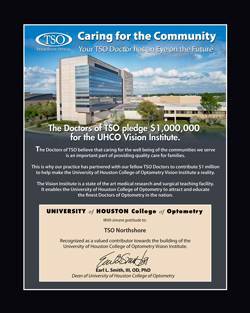 To understand the risks and the limitations of all macular degeneration treatments, speak frankly with your TSO Northshore eye doctor. Wet macular degeneration treatment can include a number of options; including laser surgery, light-activated dyes that are injected into the circulatory system, or drugs injected directly into the eye that inhibits the growth of abnormal blood vessels that cause the wet form of the disease.